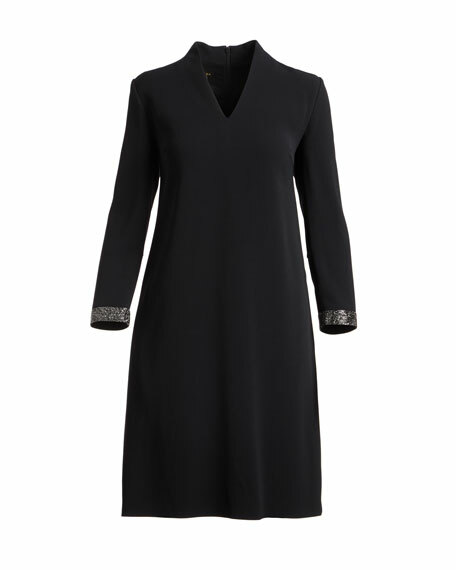 Escada crepe dress with Swarovski® crystal-embellished cuffs. Approx. 41.5"L down center back. High V neckline with slight stand collar. For in-store inquiries, use sku #2344419.